Vietnam has contracted to sell around 100,000 tons of 25 percent broken rice to several African nations so far this month, helping to keep prices stable at the start of a harvest in the Mekong Delta, traders said on Wednesday. 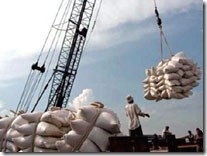 The volume is small compared with around 1.5 million tons Africa buys annually from Vietnam, the world’s second-largest exporter of the grain after Thailand, but the deals have halted a price fall in earlier market expectation. “The harvest is now under way, but prices remain stable thanks to these deals,” a trader with a foreign company in Ho Chi Minh City said, noting that buyers had earlier expected prices to soften when the summer-autumn crop harvest starts. He said three foreign trading firms have signed contracts in the past two weeks to buy the 25-percent broken rice for shipment from next month and in August. The contracted price was at the same level as market offers this week, he added. Vietnam’s 25 percent broken variety stood this week at $430 a ton, free-on-board (FOB) basis, against $420-$435 last week, even though farmers have been harvesting the summer-autumn crop, the second-largest in the Mekong Delta food basket. The 5 percent broken rice widened to $460-$470 a ton, FOB basis, from $460-$465 last Wednesday. Traders said they could not know which African nation will be the destination of the grain until ships arrive for loading. The ongoing harvest, which produces mainly the low quality 15 percent and 25 percent broken grades, is due to peak from July. The three deals, including at least one for an European trading firm, are company-based, which involve foreign trading firms buying from Vietnamese exporters for resale to Africa, while an African buyer has also arrived to seek more rice directly from Vietnam this month. A delegation from Sierra Leone has held talks with Vinafood 2, Vietnam’s top rice exporter, to import 50,000 tons of the grain, a government statement said, as the Southeast Asian country seeks to boost rice shipment to Africa. “Vinafood 2 is stepping up its search for buyers as it will have to find the destination for the summer-autumn rice,” a rice exporter at a state-run firm in Ho Chi Minh City said. 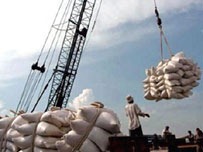 Vinafood 2 and other rice export firms are due to start a buying scheme between July 15 and August 30 to stockpile 1 million tons of milled summer-autumn rice for three months, a typical move to support domestic prices at the harvest peak. The summer-autumn crop is the second highest yielding after the winter-spring season. But unlike grain from the other crop which mostly goes to exports, summer-autumn rice is used for both domestic consumption and exports due to lower quality. « Can You Start a New Plant From a Broken Bleeding Heart Plant?